The first song of spring is the sweetest. A tiny yellow warbler keeps a watchful guard over her nest in the brush. Nests and eggs are a beautiful symbol of hope and rebirth. 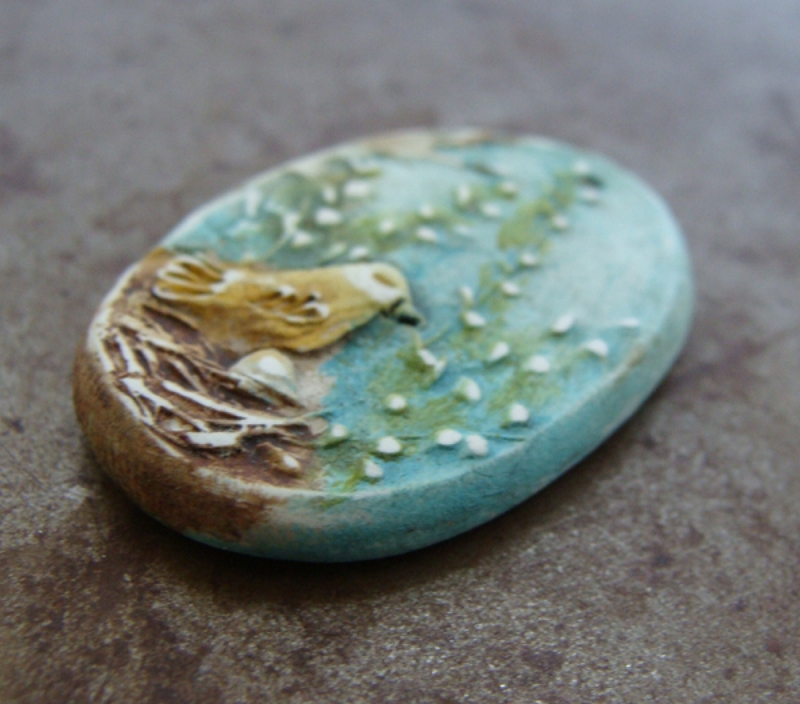 Wear this pendant to remind yourself to keep watch over your dreams. 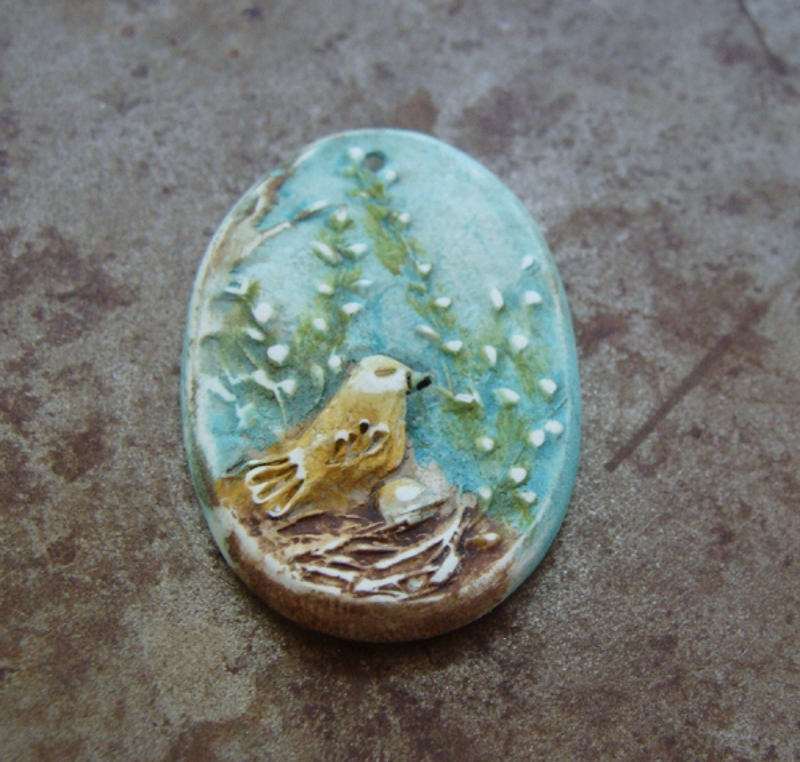 The polymer clay pendant started out from an original carving and hand painted for a watercolor effect. The paint is sealed with a protective finish. 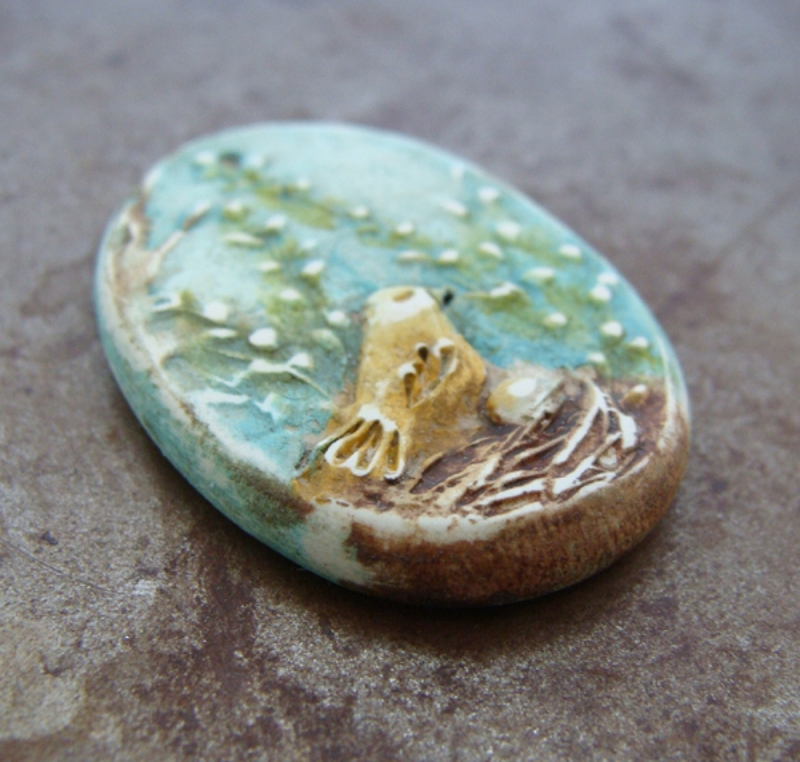 The pendant measures 1 3/8" long and 1 1/8" wide and 5mm thick. 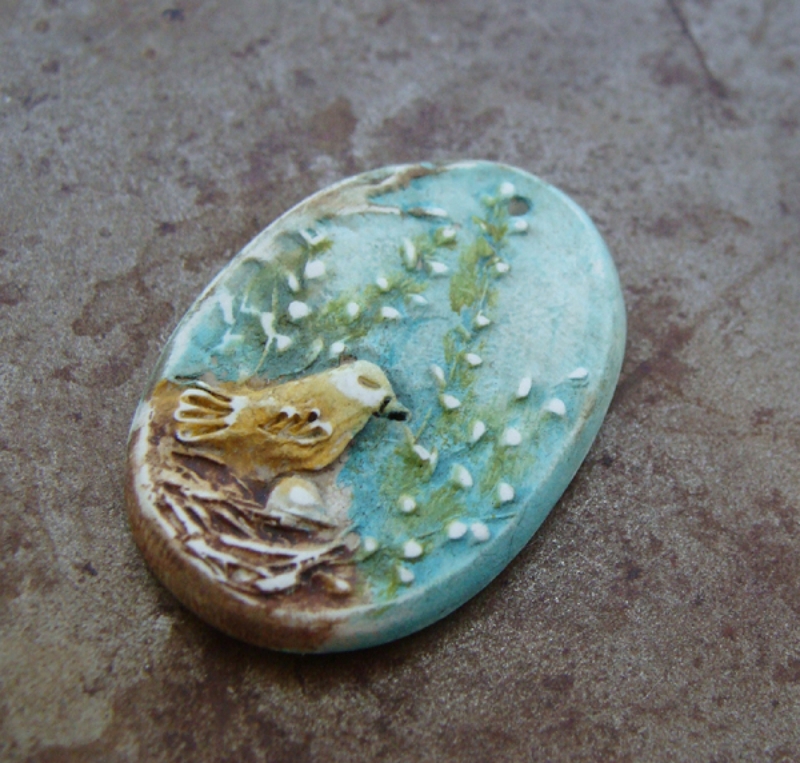 A hole is drilled at the top of the pendant, use a jump ring or wire-wrap a bail.